It was the candle launch that went down an absolute storm. When the Jo Malone inspired Aldi candle dropped online and in stores, it wouldn’t be an exaggeration to say that customers went crazy for the launch. But when the Aldi candle completely sold out, it left fans who missed out pretty devastated. However, fear not Aldi candle fans, as we bring brilliant news. It’s now been revealed that Aldi will be launching a brand new, Jo Malone-inspired scent collection, including everything you need to make your home smell fabulous. Yes, Aldi are launching not just a new candle range, but a new room spray, and a candle and reed diffuser gift set, all inspired by their hugely popular, original candle. And the items are selling at just a fraction of the price of their Jo Malone counterparts! The range, which will be out on December 3rd, of course includes one stand-out item, a giant candle centrepiece. The 700g candle is bigger than Jo Malone’s giant offering, which is 600g. And, it costs around 10x cheaper too! The candle will sell for just £9.99 – a positive bargain compared to Jo Malone’s £120 one. Aldi are also bringing out a £3.49 room spray, which will be available in four scents – Lime, Basil & Mandarin, Pomegranate Noir, Red Roses and Freesia & Pear. And the two new gift sets are likely to make the perfect gift for Christmas. 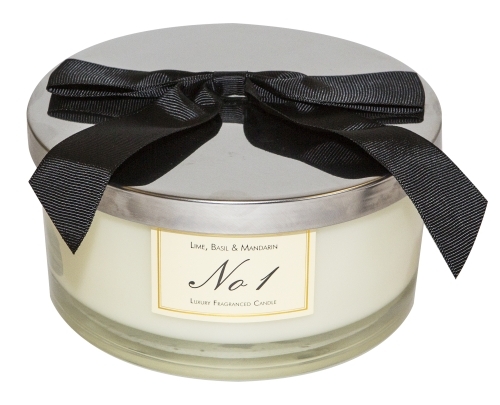 The first of the two offerings is a luxury candle gift set, consisting of three single-wick candles. The set can be picked up in one of two scent combinations. Choose from either Lime, Basil & Mandarin, Pomegranate Noir, and Freesia & Pear or Orris & Sandalwood, Sage & Sea Salt and Red Roses. Plus, they’re available for just £9.99 – a steal in comparison to the Jo Malone travel size candles, which are £23! Lastly, Aldi is also offering up a luxury reed diffuser set, to keep your home smelling delicious throughout the festive period. 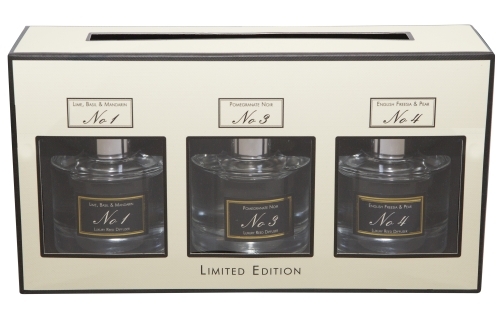 It’ll contain three, 90ml bottles, available in the same scent combinations as the candles. Grab them for just £9.99 – for yourself, or a lucky loved one. The giant candle and room spray will launch in store and online on 3rd December, while the gift sets will be available from 7th December. Will you be picking any items up? Race you to the store!